"This book integrates the fundamental principles related to wastewater treatment plant design and operation with an extensive set of design examples emphasizing the issues that engineering professionals are likely to face in the field. It is one of the most valuable books for wastewater treatment plant design—equally useful to students, educators, and practicing engineers." "This book provides an excellent overview of critical concepts needed to solve many environmental challenges in the twenty-first century. It includes solved examples needed to understand critical concepts and contains many topics relevant to addressing water sustainability." Wastewater Treatment and Reuse: Theory and Design Examples presents a state-of-the-art, integrated approach to all aspects of wastewater treatment and reuse. It covers a wide-range of topics from public health protection and regulatory requirements to coverage of facility planning, design, and implementation. 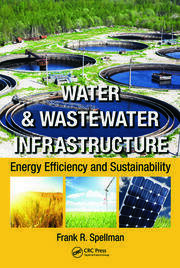 A unique feature of the book is a collection of over 700 illustrative theory and design examples and in-depth solutions that provide readers deep understanding of current and advanced technologies in wastewater treatment and reuse. The book serves as a consolidated resource on emerging treatment technologies, new research developments, and future trends suitable for sustainable economic growth. It addresses the needs of students, educators, consultants, researchers, and other professionals who are involved in planning, design, review, permitting, and enforcement of wastewater treatment and reuse facilities. Dr. Syed R. Qasim is a Professor Emeritus in the Department of Civil Engineering at the University of Texas at Arlington. Dr Qasim received his Ph.D and MSCE degrees from West Virginia University, and BSCE degree from India. He served on the faculty of Polytechnic University, Brooklyn, NY; and on the faculty of the University of Texas at Arlington, TX from 1973 till his retirement in 2007. Dr. Qasim has conducted full time research with Battelle Memorial Institute, Columbus Laboratories; and has worked as a design engineer with a consulting engineering firm in Columbus, Ohio. He has over 47 years of experience as an educator, researcher, and practitioner in the related fields of environmental engineering. His principal research and teaching interests include water and wastewater treatment processes and plant design, industrial waste treatment, and solid and hazardous waste management. He served nationally and internationally as a consultant with governmental agencies and private concerns. Dr. Qasim has written three books, and is author or coauthor of over 150 technical papers, encyclopedia and book chapters, and research reports. His papers, seminars, and short courses have been presented nationally and internationally. He is a life member of American Society of Civil Engineers and Water Environment Federation; a member of Association of Environmental Engineering and Science Professors , American Water Works Association, and other professional and honor societies. He is a Registered Professional Engineer in the State of Texas. "A focused design textbook with the right balance of fundamentals and design examples." "…covers almost all aspects of wastewater treatment, from collection to treatment and reuse, from conventional treatment processes to advanced treatment processes, and from theory and fundamentals to design examples. All chapters and topics are well aligned with the synopsis of the book in serial order. Instructors might have flexibility to choose certain topics selectively to best deliver coherent message in a course." 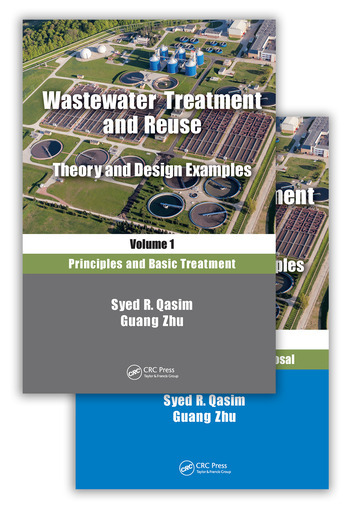 "This book by Qasim and Zhu integrates the fundamental principles related to wastewater treatment plant design and operation with an extensive set of design examples emphasizing the issues that engineering professionals are likely to face in the field. Besides providing a coverage of the main processes and unit operations, the book also presents critically needed information about nutrient and resource recovery, disposal, reuse, instrumentation, retrofitting, and advanced wastewater treatment processes. It is one of the most valuable books for wastewater treatment plant design – equally useful to students, educators, and practicing engineers." "This book provides an excellent overview of critical concepts needed to solve many environmental challenges in the 21st century. It includes solved examples needed to understand critical concepts and contains many topics relevant to addressing water sustainability."